The 2019 State of the Industry Reception is now sold out. The State of the Industry presentation recognizes the important accomplishments of our industry during the last year as well as addresses the important challenges we’ll face in the upcoming year. Steve Sanetti, National Shooting Sports Foundation CEO, presents industry updates important for every professional to hear. The State of the Industry Presentation and reception are an enjoyable way to make valuable new connections during the reception. Pick up tickets to the State of the Industry Reception on Monday or Tuesday at the NSSF Membership Center, Level 2 Lobby of the Sands Expo Center. All tickets are for general admission seating. From the Baltimore Opera to QVC shopping channel, Executive Producer and TV Host Mike Rowe has had hundreds of jobs and relished his role as a chronic freelancer. Mike is best known as the “dirtiest man on TV,” a title he earned on the hit TV series Dirty Jobs. He has narrated hundreds of documentaries about space, nature, dinosaurs, and how stuff works. He has also forged a handful of partnerships with iconic brands and filmed a boatload of Ford commercials. Most recently, Mike is in search of remarkable people making a difference in their communities on Facebook’s groundbreaking series Returning the Favor. You can also watch him on the series Somebody’s Gotta Do It on TBN where he introduces viewers to innovators, do-gooders, and entrepreneurs who march to the beat of a different drum, or listen to him on The Way I Heard It, a weekly five-minute podcast of short mysteries for the curious mind with a short attention span. 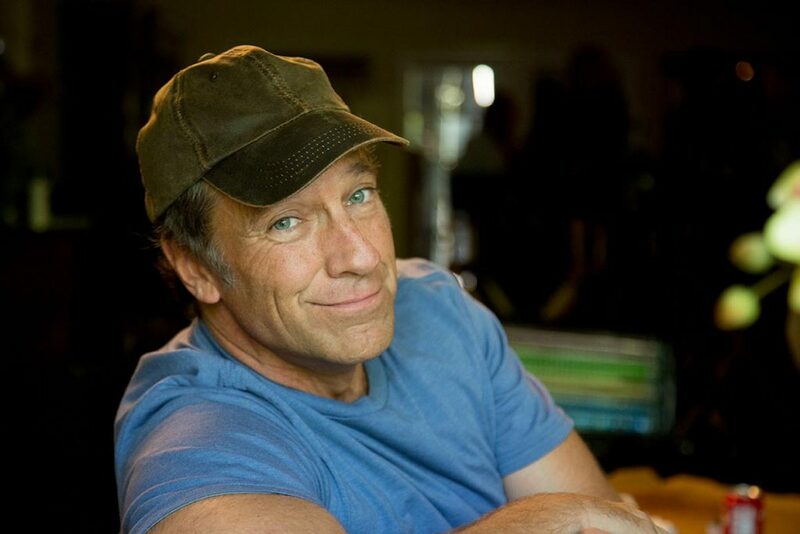 In addition, Mike runs the mikeroweWORKS Foundation, a 501(c)(3) public charity that works to debunk myths about the skilled trades and help close the skills gap. Through scholarship programs, like the Work Ethic Scholarship Program, the Foundation provides scholarships to people getting trained for skilled jobs that are in demand; and it has granted, or helped facilitate the granting of, more than $5 million in technical and vocational education for trade schools across the country. In his spare time, Mike keeps a lively conversation with more than 5 million Facebook friends, where he talks about everything from the musings of his persnickety terrier named Freddy to the merits and pitfalls of blind patriotism.